This week, I’ve been taking root cuttings of hardy perennials. It’s a really simple process and you can increase your plants by loads propagating in this way. Either dig up the plant you want to take root cuttings from, or just leave it in the ground and dig down to the roots, then snip off some good healthy looking bits. Plant them in pots of compost with a bit of grit or sharp sand added for drainage, put them in a shady area or cold frame and wait for your new little plants to appear. Just make sure you plant the roots, the correct way up and level with the top of the soil. 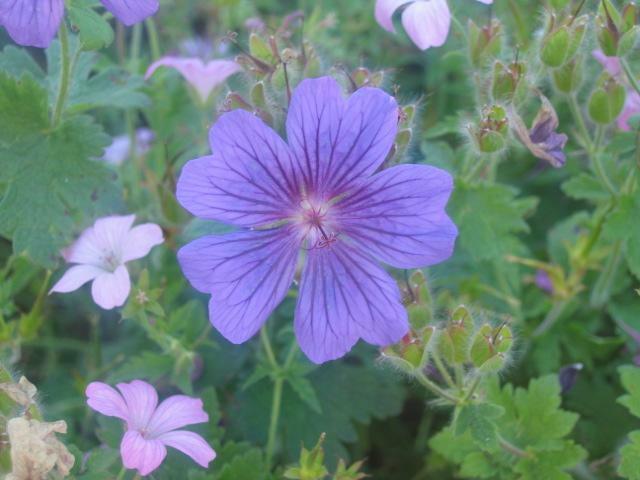 You can do this with all the hardy geraniums – a selection shown below, verbascums, oriental poppies, perennial daisies and loads of other hardy herbacious perennials.